Tell our readers a bit about yourself: [I’m an illustrator, print-maker, gardener, educator and consultant in Toronto]. There’s always a community element and a teaching element in everything that I do, including gardening which is very much about learning with people and teaching and sharing skills. 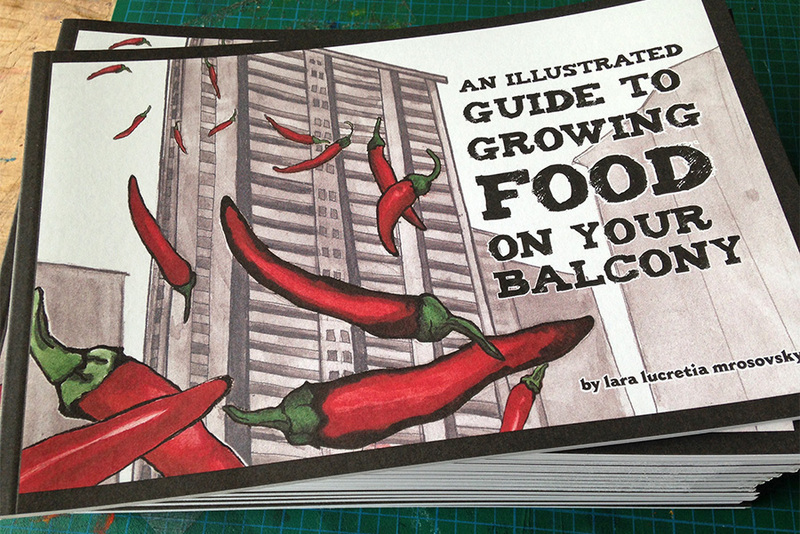 My recent book project, An Illustrated Guide To Growing Food On Your Balcony, is a great example of how I try to combine learning and art. It’s an illustrated book with 101 plant drawings, where I spent a year drawing plants and making profiles of them. The idea is that art can be a tool for education, and different forms of social change, so I don’t really believe in art for art’s sake, but art for other purposes like community building and teaching. Why is your art important to you? I think I’ve had the opportunity to do a lot of collective art, which has been really important and rewarding to me because I truly believe that many minds are better than one; when a group of people get to put ideas together, I think they always come up with something more interesting and creative than only one person. In the past I was a part of a group called the Beehive Design Collective, and Beehive is really all about working as a team and also consulting a whole lot of people; they take that collaboration aspect to the next level, so I learned a lot of my collective approach from Beehive. I think it’s important to mention them as a really influential part of my art. 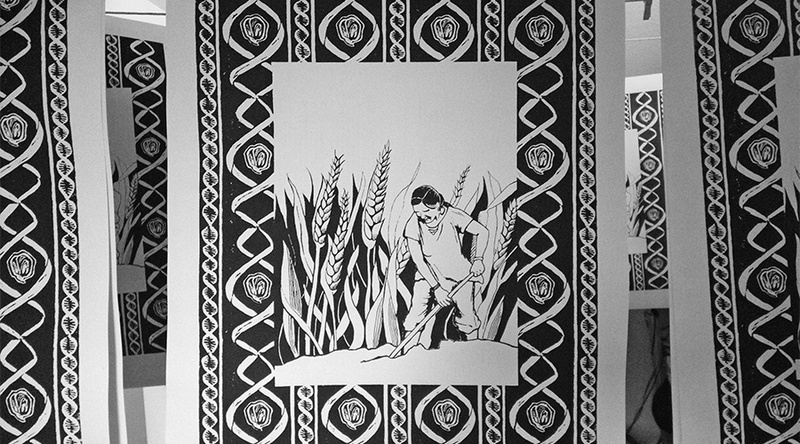 [For example], my studio, Jakarundi Graphics, creates socially engaged imagery with political messaging, which are largely influenced by my work with Beehive. Tell us a little bit about an upcoming project you’re working on: My book launch is coming up on April 28th at Allan Gardens as part of the Green Thumbs Growing Kids Annual Plant Sale and Event, and I’m also very excited about #EastEndLove! It’s been really fun working with Sarafina Nahom Tsehaye (my #EastEndLove mentee) and printing stuff together. Because I just finished this big illustrated book project, I’m not quite sure what’s next but I hope it involves something more along the lines of what I’m doing with #EastEndLove [with East End Arts]. Your favourite place to engage/create/admire art in east Toronto? I was really excited that there was a recent Kent Monkman exhibit at Project Gallery on Carlaw and Dundas (now re-branded as Patel Gallery). 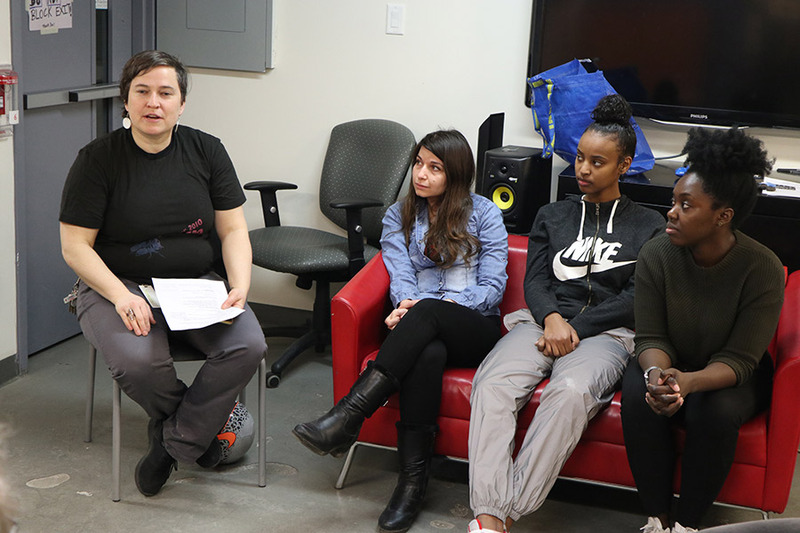 A friend had told me about it actually, but I would love to connect to more arts organizations and artists in the east end.